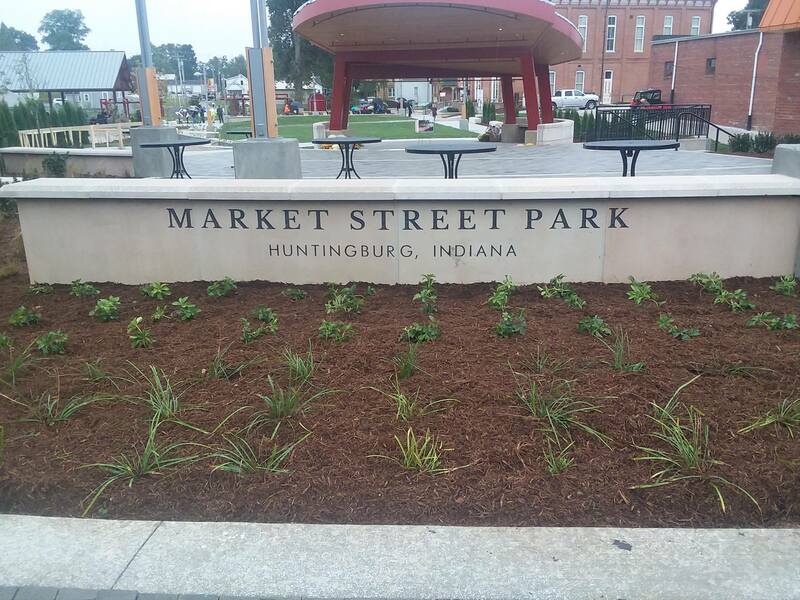 HUNTINGBURG -- Market Street Park in Huntingburg is now open for you to enjoy. Crowds gathered at the new park Friday evening for a chilly, rainy ceremony to officially dedicate the new park near the city's historic Fourth Street shopping district. City officials like mayor Denny Spinner had long hoped to have the park ready for this weekend's Haunted Huntingburg events. While crews were putting the finishing touches on the park late Thursday evening, everything appeared to be ready right on time. "As I look out at this park today; this is your park... this is Huntingburg's Park," mayor Spinner said during his remarks to celebrate the park's opening. "Everything you see, someone in Huntingburg has had input in to make it happen." The new Market Street park features a pavilion, amphitheater, paths and plenty of seating.